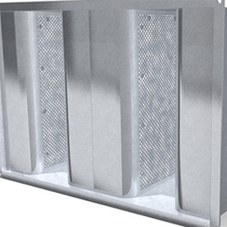 Caice has provided their continuous line acoustic louvre system for an engineering project at Here East Data Centre in East London. 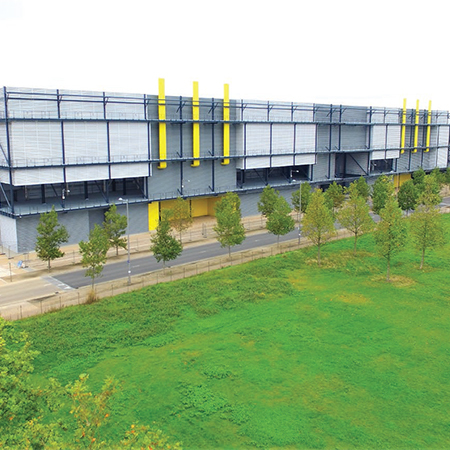 The Here East Data Centre in East London, was originally the media centre for the 2012 Olympic Games. The client, Infinity, has a lease on the building and is searching for a tenant from world leaders in software or cloud computing. 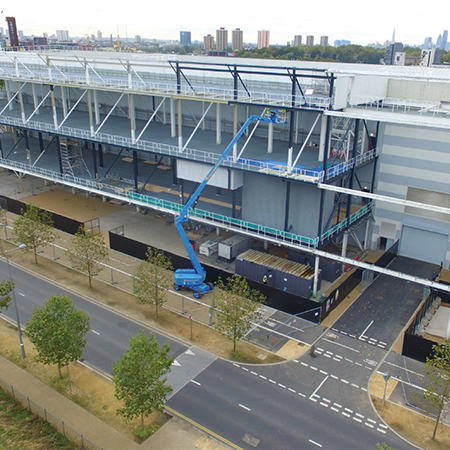 Caice were asked to provide a cost for constructing a 4200m2 facade of acoustic louvres and acoustic panelling, to prevent noise from the building’s plant and machinery from disturbing local residents. 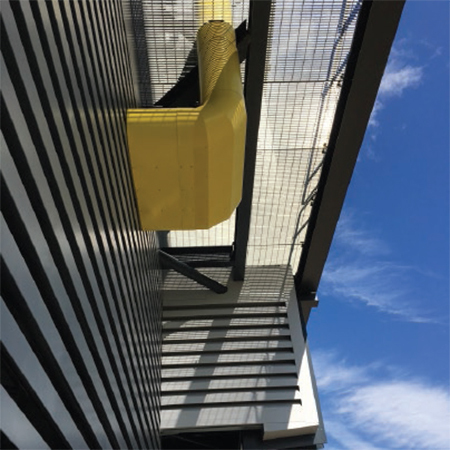 Caice's proposal was for a beautifully designed and highly engineered continuous line acoustic louvred cladding system supported by our own integrated steelwork structure. 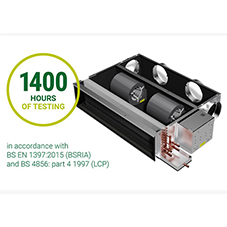 Allowing airflow to the plant and machinery, hiding it at the same time and substantially reducing noise levels locally were all key elements of the design. 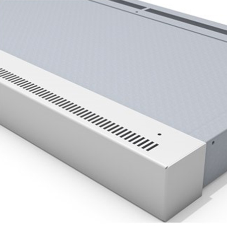 The acoustic louvres were combined with Caice's acoustic panelling system on the ground floor, and additional work included extensive modifications to the existing steelwork building structure to accommodate Caice's products and improve access. John Belton Program delivery director at Infinity SDC said: "Our decision to contract directly with Caice was based on their significant effort and response early in the design development stage of the project. We were very impressed with the initial approach and the continued on-going advice and support throughout the project, providing significant input at key stages. 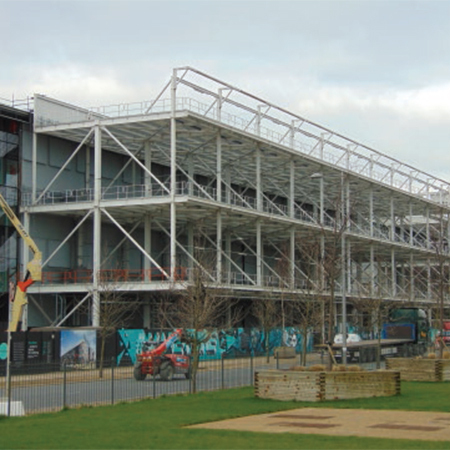 They worked very well with our architects and structural consultants working collaboratively to the challenges of developing the scheme with the specific project constraints. Their creativity, enthusiasm and strong project management skills helped us to achieve precisely what we wanted, within our budget".